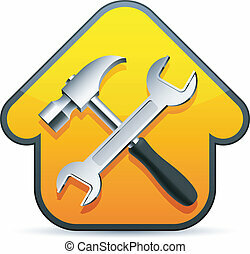 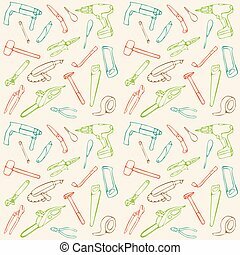 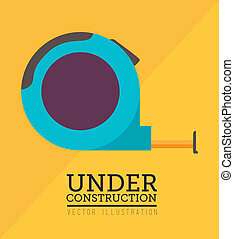 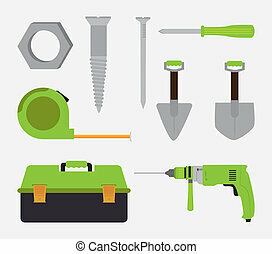 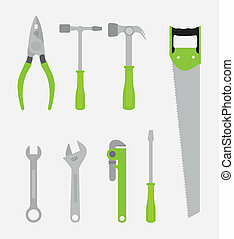 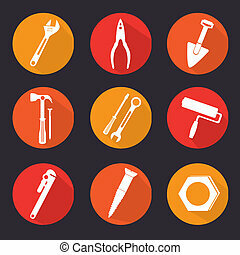 Construction tools. 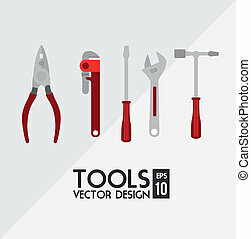 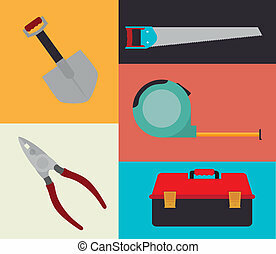 Set of 4 construction tools with red handles. 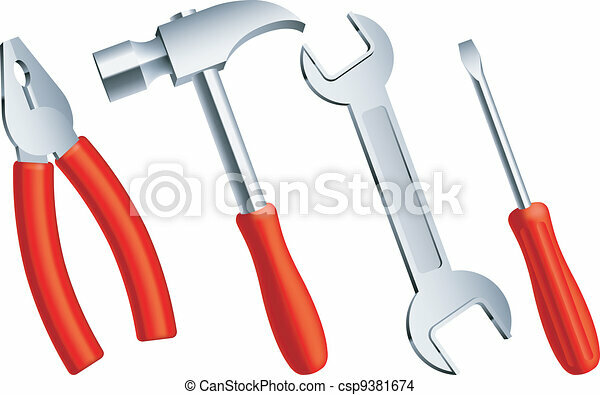 Set of 4 construction tools with red handles. 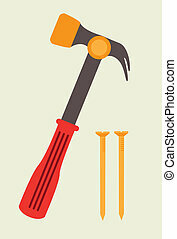 Hammer and wrench over construction sign. 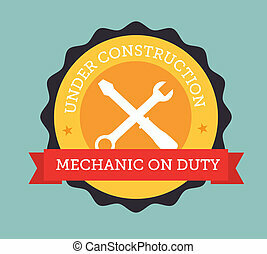 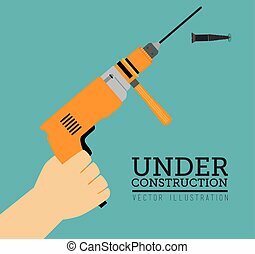 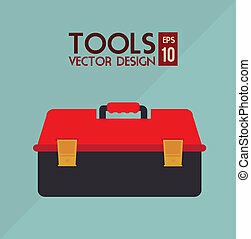 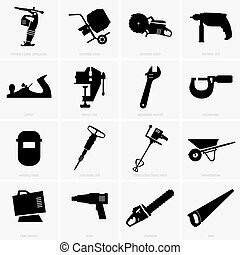 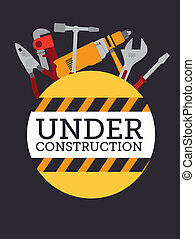 Set of 9 construction and building icons. 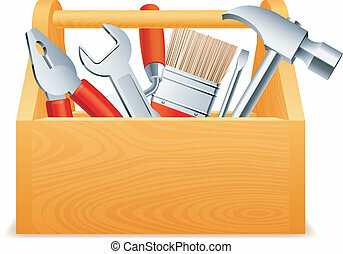 Wooden toolbox full of tools. 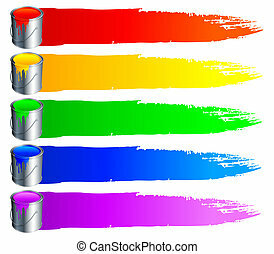 Set of 6 paint buckets, with colour paint and strokes. 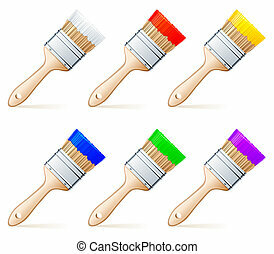 Set of 6 paint brushes, with colour paint. 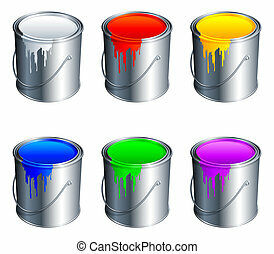 Set of 6 paint buckets, with colour paint. 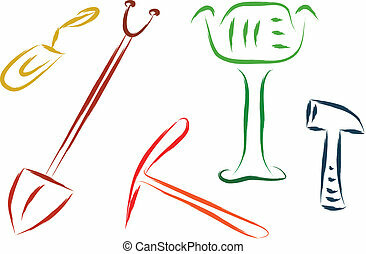 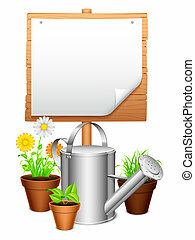 Metal watering can, potted plants and wooden signboard.